Driven by innovation-friendly regulatory reforms, these companies have especially gained traction in Europe over the last three years. 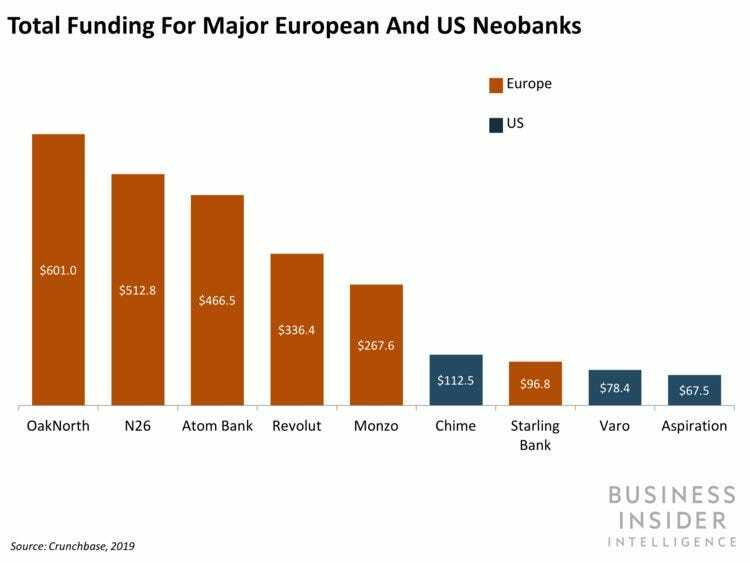 While the US is home to some of the oldest neobanks — including Simple, which set up shop in 2009, and Moven, which was founded in 2011 — the country’s neobank ecosystem has lagged behind its European counterpart. The companies mentioned in this report are: Aspiration, Chime, Goldman Sachs’ Marcus, JPMorgan Chase’s Finn, N26, and Revolut. Details the factors contributing to a shift in the US’ neobank market. Discusses the key strategies established players need to deploy to remain relevant in the US’ increasingly digital banking landscape.